In this issue of Vietnam Magazine, we aim to provide readers with a complete understanding of Vietnam’s e-commerce industry. We begin by highlighting existing trends in the market, paying special attention to scope for foreign investment. 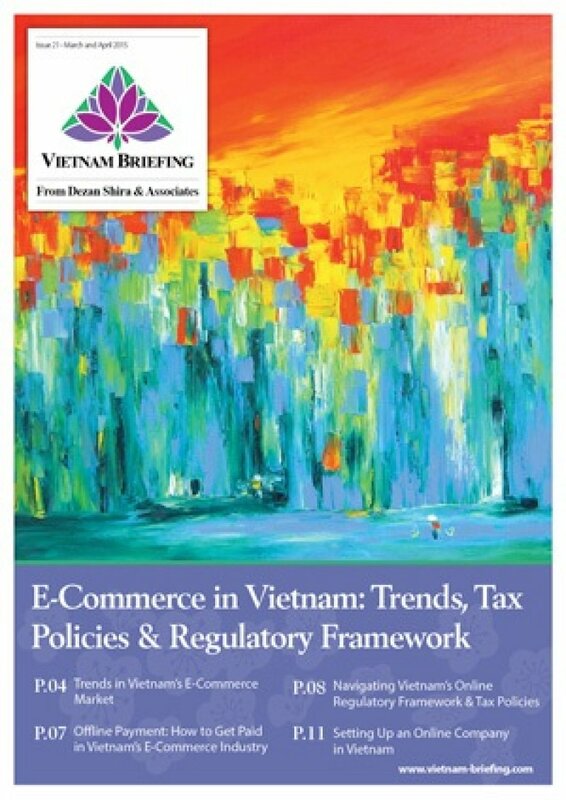 We then look at the most common means for online sellers to receive payment in Vietnam, and examine the industry’s tax and regulatory framework. Finally, we conclude by discussing how a foreign retailer can actually establish an online company in Vietnam. The speed of change in Vietnam can leave you breathless. From 2013 to 2014, the proportion of shoppers buying electronics online almost doubled. The phenomenal opportunities in this frontier market are here for those who come prepared. Always bear in mind that this market is price-sensitive. High-end retailers have found success, but the largest market is the low-middle income segment of the population, and getting to know their spending habits is vital. The country’s new consumer class has an appetite for clothes, shoes, cosmetics and electronics. Vietnam’s internet users are young, online mostly in the evenings, and are more likely to access the internet via a laptop or cell phone than a desktop computer. Successful businesses tailor their websites to meet these needs. Doing business in Vietnam requires close interaction with the government, and e-commerce is no different. Before selling to Vietnam, government approval is required, and selling unapproved products can land you in hot water. This is why professional advice is always needed.